Got yourself the smartest speaker of this era- Google Home Mini? But are you confused about how to set up that after unpacking the box? No need to worry at all. Here is the fittest answer of the frame of your question. Well, the Google Home Mini Setup is a bit tricky. What you need is to keep patience, a proper technical guidance and a little bit of time. From our end we can provide the proper guidance, rest of things are on you. However, not only the guidance but our experts also provide assistance at your place. So, whenever you feel helpless with your Google Home Mini smart speaker- ask for our helping hand. Now it’s time to know the setup tricks of your new smart speaker. Before starting the process, you need to complete the Google Home Mini App Download. The app is going to take charge of your Home Mini. So, it’s mandatory to have this app installed in your phone or tablet to avoid issues while setting up the same. Now, that you have installed the Google Home App let’s proceed with the rest of the processes now. Step 2: The app will automatically detect your Home Mini and will show the status on the first screen. And, if you can’t find any status then you need to tap the device button and in the top right and then tap the Add New Device button to get the instructions on how to find the device. Now tap on set up. Step 3: If you have connected with the correct device then you must hear a sound from the Mini. Then tap on yes in the app. Step 4: Now, you need to choose the room where your Google Home Mini will be located. Now, tap on Next. Step 5: After that, select your Wi-Fi network and tap on the Next button. Step 6: Then, you need to enter the password for your network and tap on Connect option. Step 7: Next, you need to review the privacy information. When you’re done, tap on the Next button. Step 8: Want personalized results? Alright, follow the instructions to train the Google Home Mini to recognize your voice. Once training is complete, tap on the Continue. Guys make a note- If you’ve already trained another Google Home to recognize your voice, you can just tap Yes I’m In. 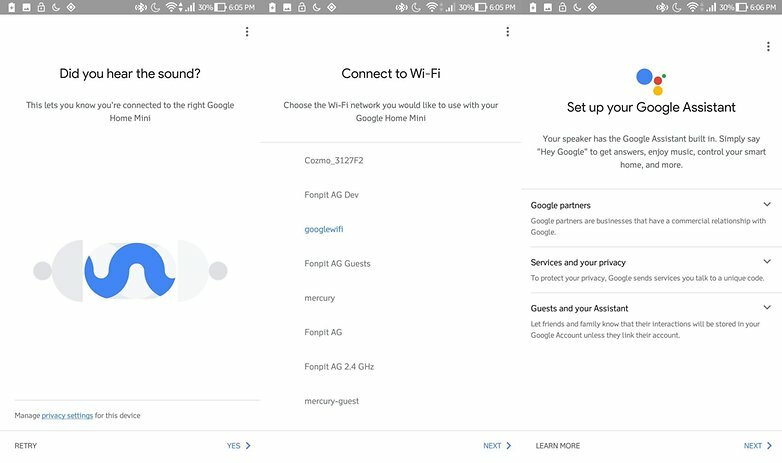 Step 9: Now, Google Home Mini lets you select between two voices. You can play samples of each and decide on the one you want. Whenever you’ve chosen one, tap Next. Step 10: It’s time to enter your address if you want to get customized local data for traffic, weather, and other services. In case you don’t want such info you can simply skip this step. Step 11: Now, review the information you’ve entered and optionally put in a payment method if you want to use Google Home Mini to make purchases. After completion of this process, tap on Next. Step 12: Then you have to tap the Continue button. Step 13: The final screen gives you some sample commands you can give. Finally, tap Finish Setup when your Home Mini is ready. 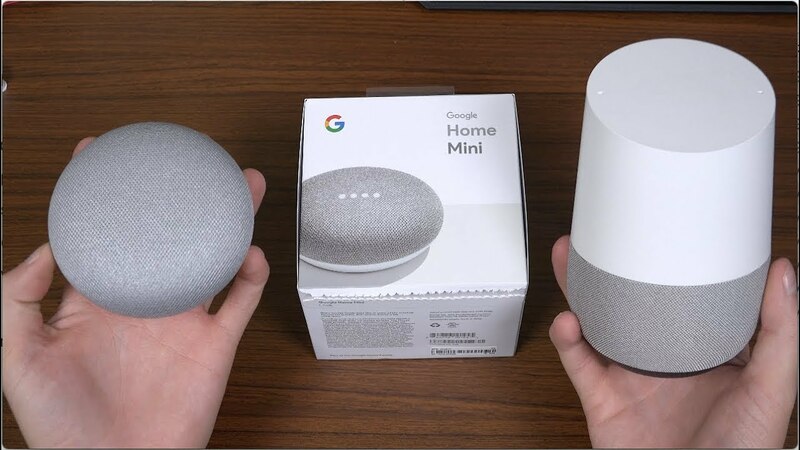 These steps are going to help you with Google Home Mini Setup, in every possible way. But every time you can’t expect that these basic processes are going to heal any major issue and going to fix your Google Home Setup. Here we come, with our brand new technology to help you out. Hence, you can connect with our tech wizards anytime. Want to know how? We use multiple ways to communicate with you. You can use one of these following ways to talk to us. Dial our Google Support Number +1 844-545-8543 and have some words with our experts. Get your Google Home Mini Setup issues within a couple of minutes. Write to us at our id info@godonnybrook.com and get an instant reply from one of our people. Chat with us by using the Google Support Chat Portal. You can expect a quick response from one of our customer care executives.